Icing at home: a master class! Continuing to disclose the topic ginger cookies and cakesI want to tell you about a simple recipe (although the recipe is difficult to call - it is rather a way :) icing at home. 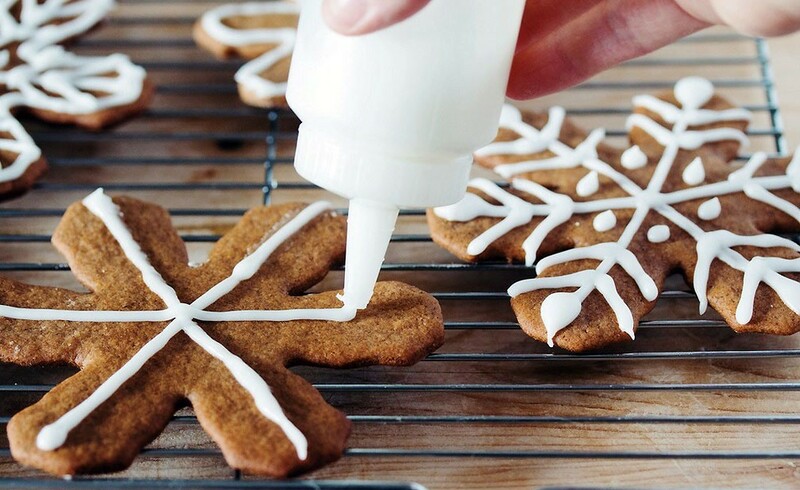 For those who do not know what icing, explain - is the icing on the basis of powdered sugar, which can be used to draw patterns on cookies, cakes and other confectionery products. Icing also can be used for modeling and manufacturing of bulk jewelry. Recipes icing much (with the addition of egg white protein and without milk, water, lemon juice, etc. ), The result is usually always the same: dense white glaze, which holds its shape well, solidifies and can in this form be stored long enough. Prepare the icing at home is very simple, even a child cope! I'll tell you about one of the ways, perhaps the most common, it is called Royal Icing (Royal). Just note: the given number of ingredients obtained quite a lot of icing, so you can take on the entire half. The finished mass is better not to store, as this may affect its properties (stickiness, brittleness), it can also be heterogeneous and to tear at otsazhivanii. Egg whites separated from yolks (very important that the yolk particles were not included!) And a little whisk with a fork until a light foam. It is important not to overdo it: you just destroy the structure of the protein, and excess air bubbles in the icing does not need. Powder is better to pre-sifted to avoid lumps and inhomogeneous consistency. Add it in the protein portions, each time a good rubbing with a fork. Almost at the end, add the lemon juice, mix well again. Massa should get a stable and slightly sticky (so to not spreading at drawing, and keep the shape). Yes, add powdered sugar, guided by consistency - perhaps it will need less. That's the simple way you can make the icing at home. Icing dries within 1-2 days at room temperature. Should not icing is deposited on the pastry cream, cake and other wet surfaces, as well as for products for which cold storage is preferred. Jewellery icing refrigerator after thinning, so they must be Only store at room temperature! Jewellery icing for cakes (three-dimensional figures, etc.) Is fixed immediately before serving. By adding a few drops of food coloring, icing can be given the desired hue.